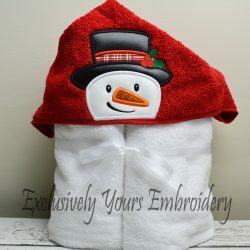 Custom embroidery with a personal touch! 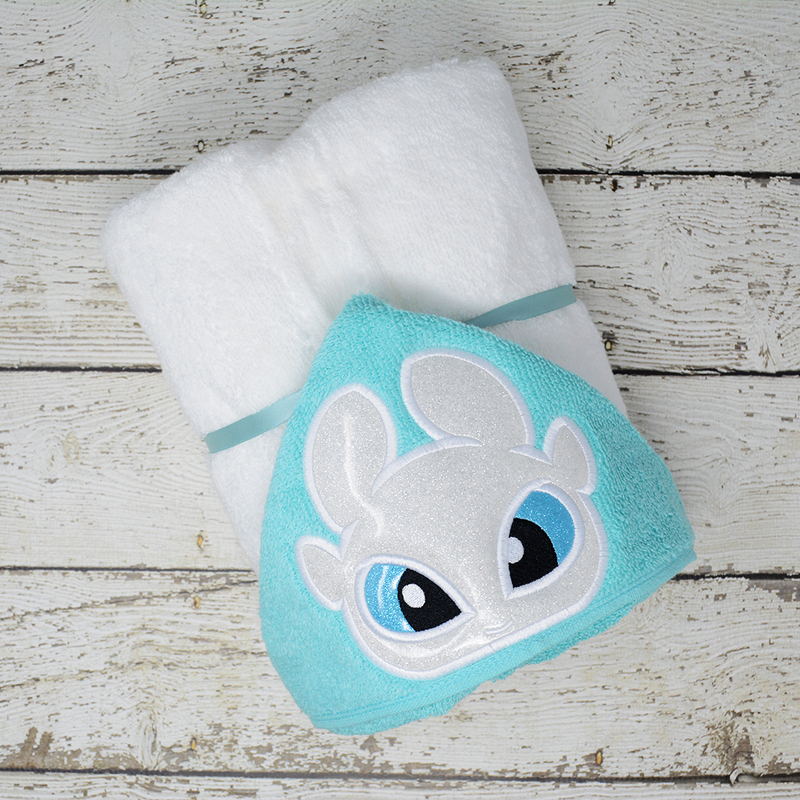 This White Dragon Hooded Towel features embroidered details on 100% cotton toweling to keep your child warm and dry after bath time or swimming in the pool. 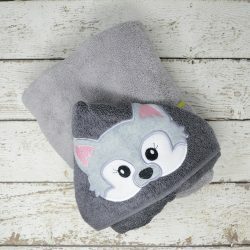 Buy this fun hooded towel to treat yourself or as a gift for your favorite beach-goer. 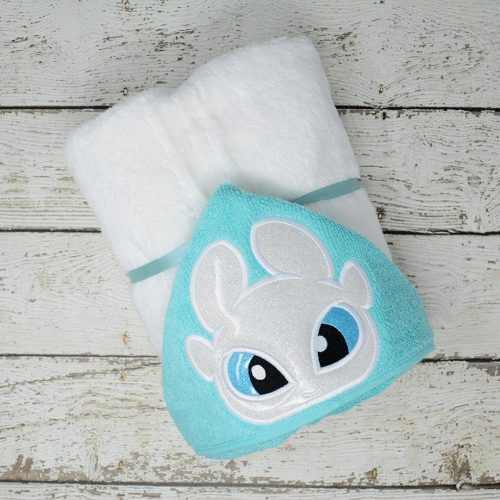 Soft & fluffy 100% cotton towels – not too thick and not too thin! Generously sized for your child’s enjoyment for many years. Add your child’s name for a personalized touch in a coordinating font. Always wear with a smile. For the first wash, please use the color catcher that is included. Wash in COLD water with like colors. 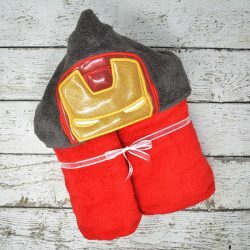 Tumble dry on LOW heat or hang to dry. Don’t pull loose threads! Doing so will cause unraveling. Trim them carefully with a pair of small tipped scissors. Lint may transfer from the towel to the hood. Use a sticky lint roller or tape to remove. 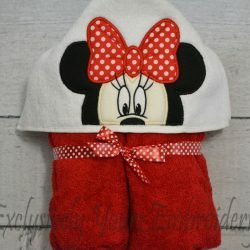 To purchase more of our hooded towels, visit here. For the first wash please use the color catcher that is included. Wash with like colors and dry on the normal temp. Please do not over dry. Lint can transfer from towel to hood. Remove with lint brush. Thanksgiving is right around the corner!